Those who live at MCB are given a great deal of freedom and the corresponding amount of responsibility for their actions, with an outcome that they will emerge with independence and maturity from this unique experience in community living. Inherent in this responsibility is an attitude of consideration and respect for each member of the group and community. Residents are expected to observe the established community standards. Martha Cook is dedicated to the development of Martha Cook residents create a harmonious and comfortable atmosphere. 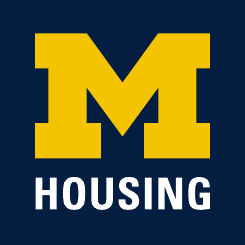 1 It is encouraged that during the year each resident serve the house in some manner, as a member of a committee, on a house team, or in some campus activity. In addition, each woman in the house is required to complete a “house service” which consists of serving tea on Friday once per term. If a resident is unable to fulfill this obligation due to academic or other justified conflict they will be asked to carry out another service duty. Attendance at one All House Meeting per term is required.